This East Coast transplant, one of the pioneers of ‘Meatless Mondays,’ brings an experienced outsider’s insight to Northwest vegetables. AS AN EAST COAST native, Kim O’Donnel wasn’t sure she was the right author for a book on Pacific Northwest vegetables. It turns out, though, that the eyes of an experienced outsider — and nine years of living in the Seattle area — gave her insights that local-born eaters might not see. 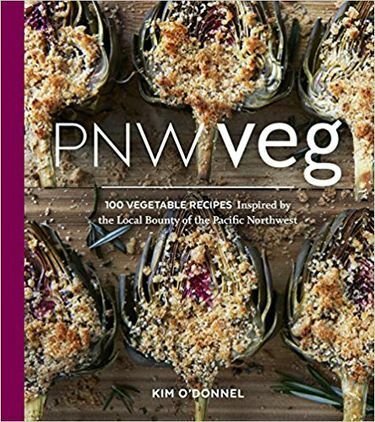 “PNW Veg” (Sasquatch Books, $29.95), the third cookbook from the writer who helped popularize the concept of “Meatless Mondays,” mixes sweet corn with red lentils for soup, adds baby-size Japanese turnips to a chicory salad and sides salt-and-pepper tofu with a Vietnamese-style herb salad. It offers planked artichokes as well as a nettle frittata, among other unexpected local harvests like creamy yellow mayocoba beans in tomato sofrito. 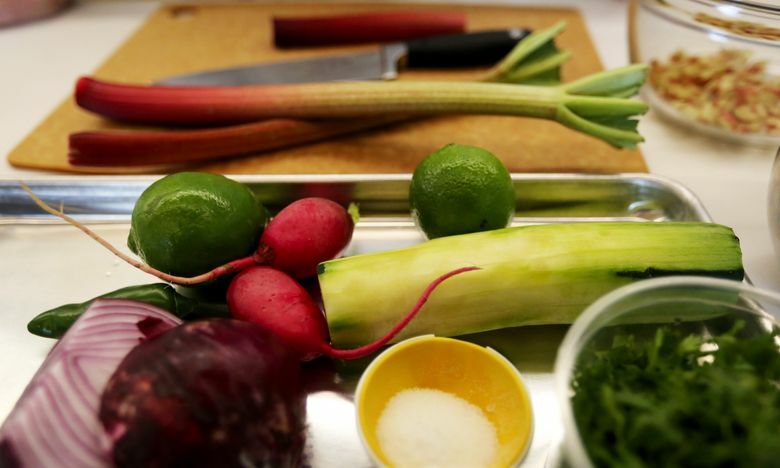 “I looked at it through the ingredients — what people grow here, what’s showing up at farmers markets, not just in Seattle, but Bellingham and Port Townsend and Portland,” O’Donnel says. Those Oregon-grown artichokes, for instance, were among the surprises. The state’s legumes were among the first surprises for O’Donnel when she moved here from the other Washington. In the farmers markets near her Virginia home, she writes, she’d see green beans and lima beans, not the hosts of lentils and chickpeas produced in the Palouse region. In more recent years, she’s seen innovations like the Washington-grown ivory wheat that’s been “a game-changer” for whole-grain baking, the quinoa that’s become a viable state crop and beautiful varieties of heirloom beans. “If it’s showing up at farmers markets, and it’s not just a one-off, that means it’s not too far in the distant future that we start seeing these things in the supermarkets,” she says. A varied career has given O’Donnel plenty of avenues for insights, including work as a journalist and a teacher, and then the recipient of a James Beard Foundation scholarship to attend culinary school in New York. Then, a friend suggested she combine her talents for journalism and food: “There’s something going on at The Washington Post. It’s called the internet,” she was told. At the Post, O’Donnel posted early-generation “cooking videos,” series of still photographs with audio. At the time, they were groundbreakers, as were the online viewer chats with cooking advice she began in 1999. Hungry for new column ideas, she followed up a “relatively unknown” university project meant to encourage omnivores to take one day off a week from eating meat. Readers loved the “Meatless Monday” idea, and she began specializing in vegetable-focused eating, rather than strict vegetarianism. Her husband’s job brought them to Seattle in 2008, and O’Donnel authored two other cookbooks. 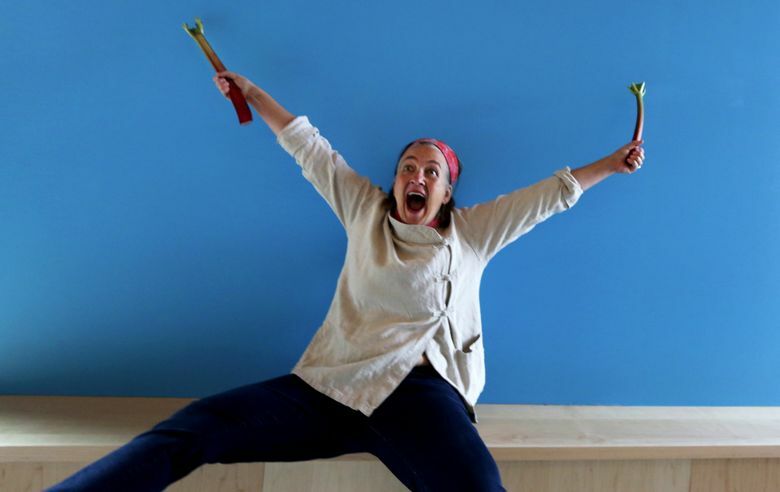 She recently took on a new position, as the West Seattle YMCA’s first “chef in residence,” charged with making the facility’s new community kitchen into “a learning kitchen, truly.” She aims to “make cooking more a part of your life” for households of all types and needs, a daily practice as normal as some people consider yoga stretches. The more she discovered, she says, the more she realized she really was the right person for the job. 1. Place the cherry halves in a small bowl. Add the balsamic vinegar, sugar and cinnamon, and stir until the cherries are coated. Let sit for about 15 minutes. 2. Meanwhile, place the onion in a small dish, and cover with the lemon juice. Let sit about 15 minutes. 3. Transfer the cherries and onion with liquids to a large serving bowl. Spread the quinoa in a layer over the top, followed by the lentils in a layer; do not stir. Finish off with a layer of herbs. Sprinkle the salt on the top. 4. Just before serving, using tongs or salad forks, gently mix the layers until combined. Drizzle with oil, then taste for seasoning, adding more salt as needed. Garnish the salad with dollops of goat cheese. This dish keeps well in the refrigerator for 2 to 3 days.